Hey for all those Lucknowites do want to know more places other than the kebab joint to chill out? And are you worried about the budget? Worry not, as you can roam around to any of these five places to spend your time with family within your budget. So just get down to read and know more about exciting hangout places in Lucknow. The moment you hear cake and that’s all your taste bud will trouble you to eat it immediately. When you think there are no hotels near lucknow airport, then Mr. Brown must come in your mind. The airport outlet of Mr. Brown has many varieties of cakes, pastries, cookies, and chocolates to offer. You can have them as a slight snack to fill your stomach. You can also take your family to the other four outlets as well for a celebration. If you love to go to a calm place and avoid the entire crowd in Lucknow, then Café Wrappers are waiting to welcome you. The neatly painted doorway and the dark ambiance well suiting a café is the best place to treat you with great Mexican cuisines. The mocktail provides that chillness to your throat and yes you can rejoice with all fun. The usual red painted walls boring you? You are an adventurous eater, and then you must look further than the Homey’s Café. The graffiti on the walls gives a different aura. You can cold coffee, baked nachos, crispy pizza, or cheesy pasta. Yes, all these at a very nominal rate. You can feel full on the stomach and feel light on your wallet. Want some chocolate to explore something different than cakes; here you go to the real heaven of chocolates. It is the Chocolate Heaven. Who on earth can say no to chocolate? You can feel the aroma the moment to enter the place. Try Ferrero Rocher Shake or the Nutella Package, and you will keep coming for the taste will stand on your tongue forever. When you feel depressed, then you must undoubtedly visit this heaven to throw all the hell out of your mind. For the momo lover in you, you must visit Nanital Momos, and you can have all the varieties the chicken, Paneer, Fried, and Steam. They offer the best tongue watering momos on the earth. The place is indeed small and does not decide the taste to be small as the place. You cannot find a better tasting momo than this site. You can visit Nanital to eat full and feel good. Yes, you have so much to go in Lucknow, and you must explore hanging out. Check out for reviews and decide the best place based on your need. You may want a serene home, or place filled with joy, or only focus eating? You will have excellent fun on all eat outs. 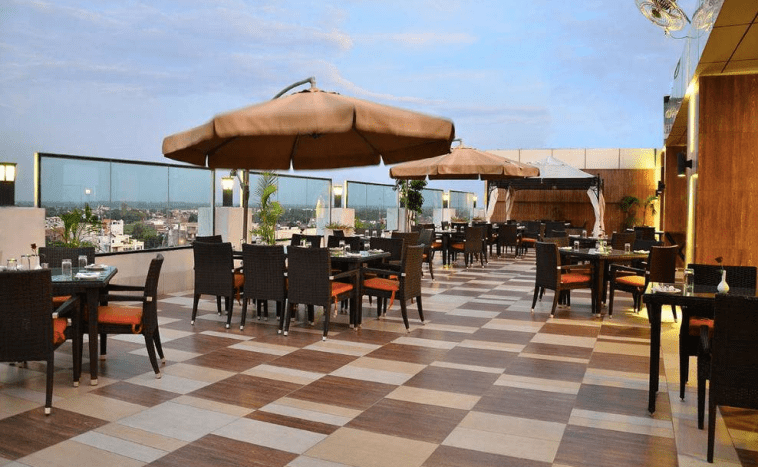 Different budget hotels are there in Lucknow, and you can spend more if you want to.